1. Clean dirt and dust of smart phone/tablet at the part to be pasted. 2. Remove the protective film of the ring,and past it up to smart phone/tablet. 3. Press softly by hand to esure stickness. 4. When need to remove the ring,please shell off from edge firstly,then uncover completely. 2. When use the ring,please avoid fall or shock which may cause damage to smart phone/tablet. 3. Please don't expose the ring to sunlight,high temperature,or high humidity environment,which could cause the deterioration of its quality. 4. 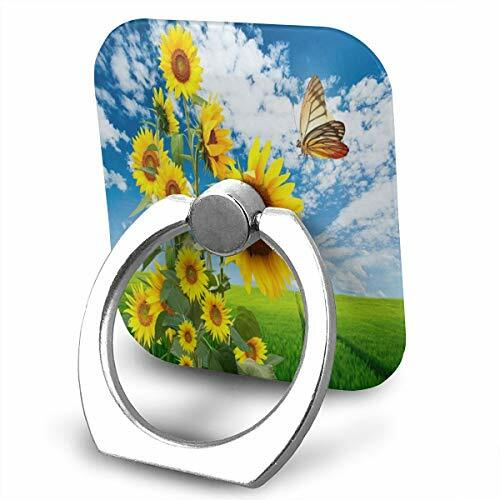 Our phone ring holder can be glued to the back of your tablets/phones or their cases firmly. It will do not harm to your phone once you want to take if off from the phones. BUT Please do NOT pull the ring stand after you stick it on your phone, because the 3M adhesive is not sticky enough within the next 24 hours. 5.Accessory ONLY, cell phone is not included. The White 3M adhesive isn't sticky enough for the surface with very smooth glass materials, such as iPhone X, iphone 8/8 Plus, please apply the ring holder on the phone case.